A welcome refuge when out in the black, or a place you wish you'd never visited? 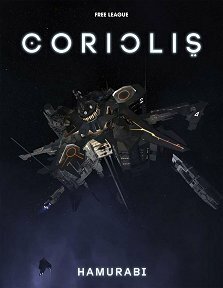 Publisher's blurb: "This 12-page PDF describes the Hamurabi portal space station, and includes a complete scenario location for the award-winning Coriolis - The Third Horizon RPG. From the outside it looks like any other portal station, a lonely chunk of dark metal and flashing lights, but inside, the rundown corridors and dim-lit halls are rife with intrigue, adventures and danger."